Peter Carl Fabergé was born on May 30, 1846, and Google has honored the legendary Russian jeweler with an impressive Doodle of Fabergé eggs. The timing couldn’t be any better, as Fabergé will be showcasing the company’s new collection of egg pendants at the Couture jewelry show, which starts tomorrow. 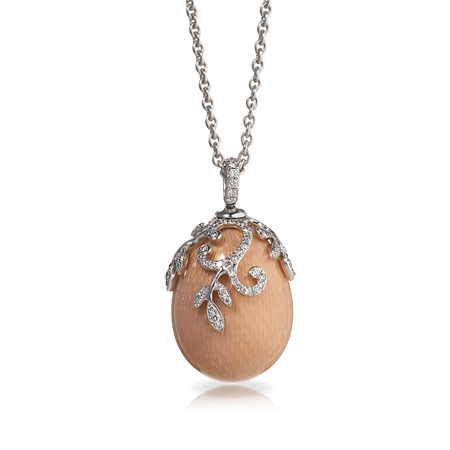 The Fabergé Oeuf Nina Poudré pendant is one of a series of intricate miniature egg pendants inspired by favorite Russian girls’ names. The pendant is made in soft pink enamel over guilloché engraving with diamonds in a floral motif.